Whilst most modern homes in the UK are designed with at least a master bathroom and a cloakroom, if you own an older property, you may be living without the luxury of that additional bathroom space. By adding a second toilet or bathroom to your home, you could be giving your property price a much-needed boost. In a busy family household, a second bathroom can be an absolute luxury, especially when it comes to the morning rush hour! 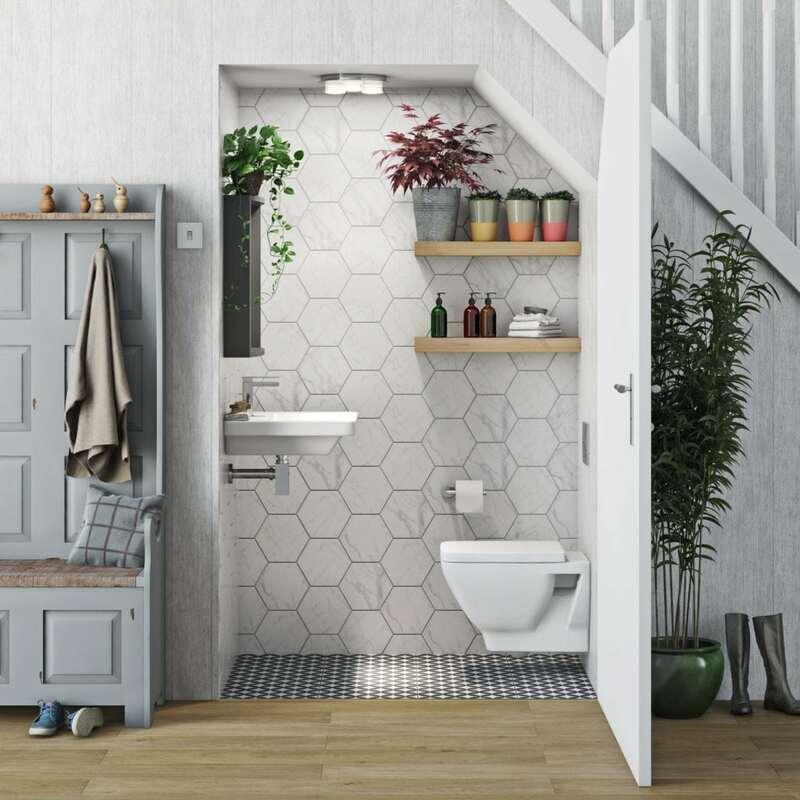 In this article we’ll be taking a look at the practicalities of adding a new cloakroom, ensuite or bathroom, discovering where you can squeeze one in and demonstrating the perfect bathroom suites for these rooms. The first thing you will need to do is find the right tradespeople who can plan and carry out the work for you. Word of mouth recommendations are always a good indication of the quality and professionalism with which a tradesperson carries out his or her work. Speak with friends or family in your local area who have had similar work done. If a word of mouth recommendation doesn’t come up trumps, there are good online resources you can use to find a trusted tradesperson. Look at their social media profiles or company pages; check they are qualified and registered with relevant industry bodies. Any tradesperson worth their salt will happily come to your home and give you a quote for the job. It is definitely worth getting quotes from a number of tradespeople as this will give you a good idea on the size of budget you’ll require. They may even come up with some alternative (and often better) ideas on how to achieve your extra bathroom space. The majority of plumbing systems in this country rely on gravity to remove waste. Any bathrooms or toilets on your property will usually be located next to your main soil stack which leads down and out, directly into the sewer system. If you are looking to add an extra bathroom or toilet, the perfect location is adjacent to your main soil stack. However, if the only space in your home is quite a distance away from your soil stack, all is not lost. A macerator or pump can be used to break down waste and discharge it through a small bore pipe, meaning no need to completely overhaul your plumbing system, which could be very costly indeed. Now let’s take a look at some of the places a new bathroom could be fitted. The area beneath your staircase is often one of the most underused spaces in the whole home and one of the most common places to site a new cloakroom. A partit is tight, you could use corner-fitting ceramics or even a combination toilet and basin unit. As many of us have discovered, sometimes the only way to extend is upwards! 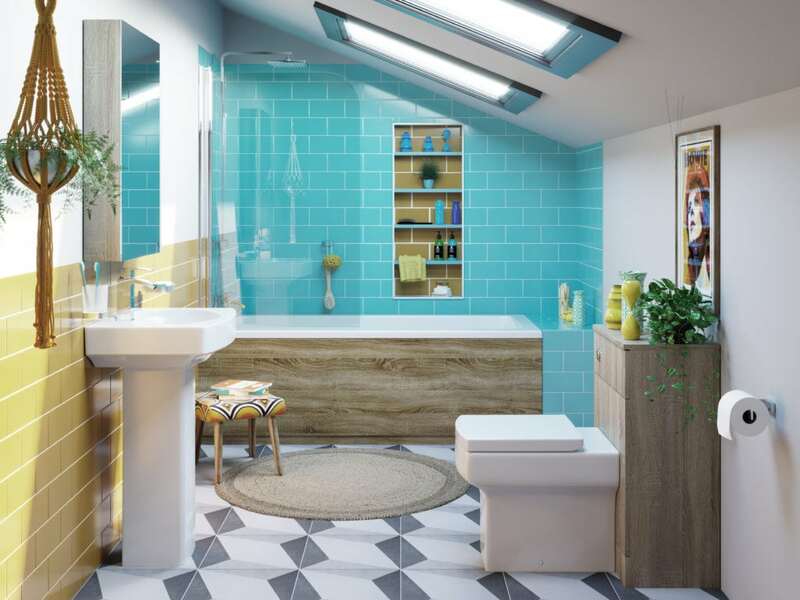 Loft conversions can cost anywhere between £15,000 to £45,000 depending on the type of property you own, however with all this extra room to play with, it is worth factoring a new bathroom into your design. If space is tight, or you’re adding an extra bedroom to your home, you may want to consider an ensuite with shower enclosure. Curved shower enclosures are especially suited to tight spaces like this. However, a sloping roof may make this impractical, in which case a bath and hand shower combination may be a better solution. If plumbing directly into your soil stack is too costly, you can find macerator pumps which provide drainage for your full bathroom, rather than just a single pump for your toilet. If installing a shower in a loft conversion, one of the things you will certainly need to consider is your water pressure. The first thing to do is identify your water system. A gravity fed system in the most common in the UK, which should be easy to spot, as you’ll have a cold water tank in the ceiling space and a hot water cylinder, usually in an airing cupboard. The other 2 main systems are combi boiler (with just a wall hung boiler, usually in your kitchen) or an unvented system (with a wall hung boiler AND a metal-clad hot water storage tank). Both these systems deliver hot water at high pressure, so there should be no issues with water pressure, however, if you have a gravity fed system, your water tank will most likely be below the height of your shower head. In this case, you have a negative head and will require a shower pump specifically designed for this purpose. Thankfully, there is plenty of choice and negative head shower pumps can be purchased for less than £400. Want to know more about how a loft conversion could add value to your home? These days, the humble garage is far more likely to be used as additional storage space rather than overnight car parking. With modern cars less susceptible to the elements and thieves, garages are fast becoming a luxury rather than an essential and functional space. Indeed, a survey by the RAC back in 2004 stated that 62% of motorists no longer used their garage for their car, and this figure has surely risen over the last 14 years. The garage, in many ways, is the ideal space to convert into an additional bathroom. In most cases, it will have a larger floorplan than even your master bathroom, meaning there’s more room to create your dream look. Plus, as your garage is located at ground level, it makes an ideal accessible bathroom, especially if you have restricted movement. A garage will require some additional renovation to make it feel more like an integral part of your home, including heating, lighting and ventilation. You might also want to swap out that large doorway for a wall or window. Where do you start with a garage conversion? Whatever your bathroom needs, you’ll find plenty of bathroom ideas and advice at VictoriaPlum.com, the online bathroom specialists.